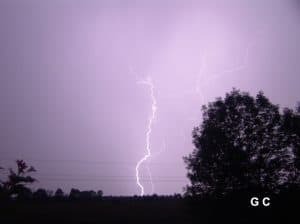 Sitting here a little before midnight on the last evening of February, I am watching the second thunderstorm of the past one hundred hours happening outside right now. 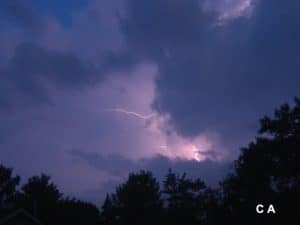 Last Friday evening (the 24th of the month), we had what I believe was the first storm of this kind of 2017, in this, and other areas of southern Ontario. No big deal? Perhaps not, but it is quite rare to have this kind of weather in “the winter” here. Although not unheard of, we certainly don’t experience this kind of thing every winter to my knowledge/experience. 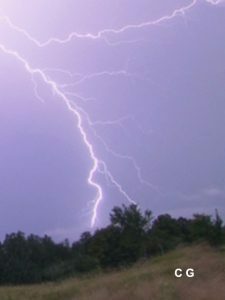 When we do, it is usually within large lake effect squall-type storms and typically, there are only two or three flashes of lightning followed by some thunder. 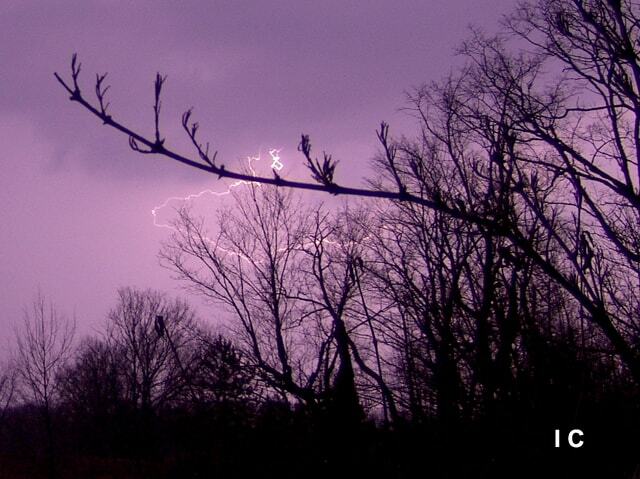 These weather events are often called “thundersnow” storms by meteorologists. With this latest storm now passed, I am looking at a radar image of what’s to come later tonight. There is currently a huge line extending from about Guelph, Ontario… all the way down to where it tapers to a narrow tip just north of Tulsa, Oklahoma. I imagine it is going to be a loud night later on! It seems as though not only birds and some plant life are “returning” record early this year, but so is some of the weather we normally associate with spring. I can see the forecast, and of course, winter is not yet over. So, perhaps we should not pull out the kayaks and surf boards just yet. We are expecting some very cold weather later this week. 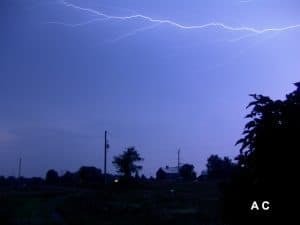 Even though I made attempts with both of these recent storms, the rain fell too hard for me to take any reasonable photos of the abundant lightning. 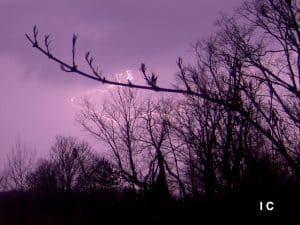 Here are a few photos of lightning that I’ve manage to take over the past few years at various times of the year near Belmont Lake, north of Havelock. 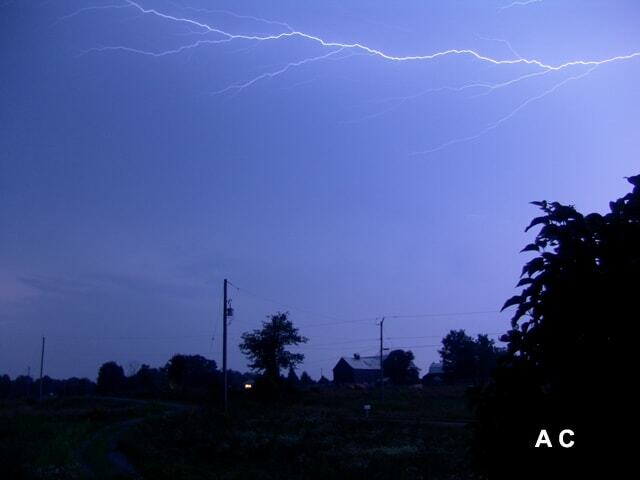 They show some fairly common types of lightning, and there is a brief description of each, below. Cloud-to-ground (CG) is lightning with a downward-moving leader. Ground-to-cloud (GC) is lightning with an upward-moving leader. Intracloud (IC) is lightning moving about between different charges within a cloud. Cloud-to-air (CA) is a discharge jumping from within a cloud into open air.